A couple things come to mind. First, I thought Hummers were supposed to be tough. Second, maybe your children are safer than you thought. 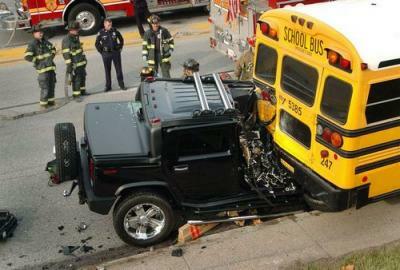 Sad picture..I though too that Hummers are powerful cars. Once me and my friend were in the street and saw how one Hummer crashed into bus.But nothing happened with Hummer.